Houseplants do more than just brighten up a room with color and living energy. Along with being pleasing to the eye, they bring health benefits to your home and body by releasing oxygen and decreasing dust and pollutants in the air. The following plants are some of the most effective in cleaning the air in your home. 1. 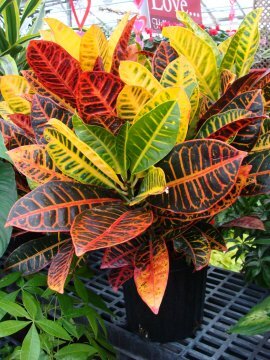 Croton – There are many different varieties of Croton in different foliage color combinations. It has large leaves with exotic color patterns. This has long been a favorite houseplant for adding a punch of color. Crotons will survive in low to high light spots in your home but they will show more color when you place them in a brighter spot. Water regularly as soil becomes dry. 2. 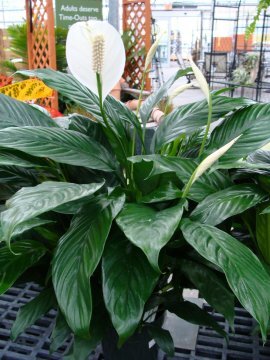 Peace lily – The peace lily has undoubtedly been the most common houseplants for years, and with great reason. It is an easy plant to care for that blooms beautiful white blooms regularly throughout the year. It also can be placed in lower light areas in your home. Peace lilies like to have consistent moisture. While some people wait for cues from the peace lily to water them (they droop when they need water) you will notice some damage to the leaves with this method. It is best to keep the soil evenly moist. 3. 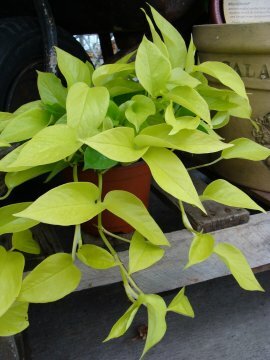 Pothos – This low maintenance longer vining plant is one of the easiest to grow. Place on a table, shelf, or hanging basket and let the vines grow and trail. Or plant it in a pot with a pole and let it grow up the pole. Grow it in low to medium light and allow soil to dry between waterings. 4. 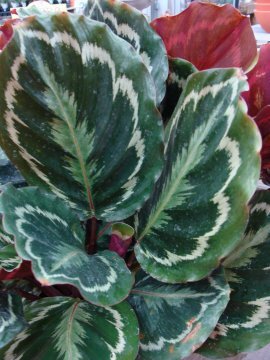 Calathea – This indoor plant has large, colorful patterned leaves in shades of deep green and purple. A great mid-sized upright plant that can be place on tabletop or as a floor plant. They prefer a bright spot. But be careful, there leaves are sensitive to direct sunlight. Allow the soil to dry slightly before watering. 5. 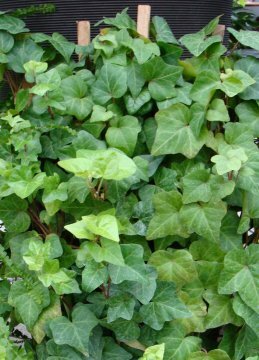 English Ivy – In many areas of the country English Ivy is grown as a groundcover, but it is also a popular indoor plant. This trailing plant is pretty grown on a table where it hangs gracefully or in a hanging basket or train it into a topiary using a topiary form. Place it in a higher light area and keep the soil evenly moist. Look around your home for a place for an indoor plant and start enjoying the health benefits that you will receive.